A brewery’s first beer can tell you a lot about how the owners want to present themselves. 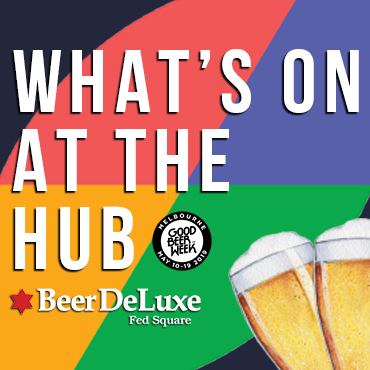 It might be something of a manifesto of what is to come - whether that takes the form of sessionable brews for a hot day, twists on classic styles, or something a little bit wild. Yet, further down the line, a brewery’s first beer may have changed significantly to keep up with the market, been abandoned altogether, or still hold strong as the standard bearer of all that followed. Kerry McBride chats to three brewers about the nature of what comes first, and how it can set up all that follows. It would be a pretty safe guess that, if you asked a handful of beer drinkers what Stone & Wood’s first beer was, they’d plump for the one with the yellow label. But, while Pacific Ale might be the one that’s captured the imagination, it was Stone & Wood’s Lager that came off the line first. When co-founder Jamie Cook and his cohorts moved on from their days at CUB and were looking at launching something new into the Australian beerscape, a well-crafted and balanced lager seemed to be the perfect beer with which to announce their new Byron Bay label. “Starting up in this part of the world eight years ago, people weren’t into flavour as much as they are today,” Jamie says. “We needed to put a beer out there that would at least get the locals and other people in this region interested in Stone & Wood as a business and as a brand. Yet their second release – initially called Draught Ale – rapidly changed the game for the Byron Bay brewery. “Once Pacific Ale got on a roll, we had to put a foot on the Lager’s throat. We could only brew so much of it," says Jamie, "so we weren’t actually out there trying to market it or to help it grow, because Pacific Ale was taking all the tank space. Once tank space had grown enough to give the lager time to flourish, the Stone & Wood team took the opportunity to redevelop the green bottled brew that had been left behind. Officially relaunched as Green Coast in 2015, the lager was moved into a brown bottle like its siblings and is now unfiltered on both tap and in bottle, just like its better known stablemate. For Jamie, their approach was never defined by the desire to do anything but a pale, fizzy lager – something by which he says some craft brewers define themselves. “We felt that, over time, people would start coming back from the big, massive IPAs and come back towards the lager, and we’re already there. 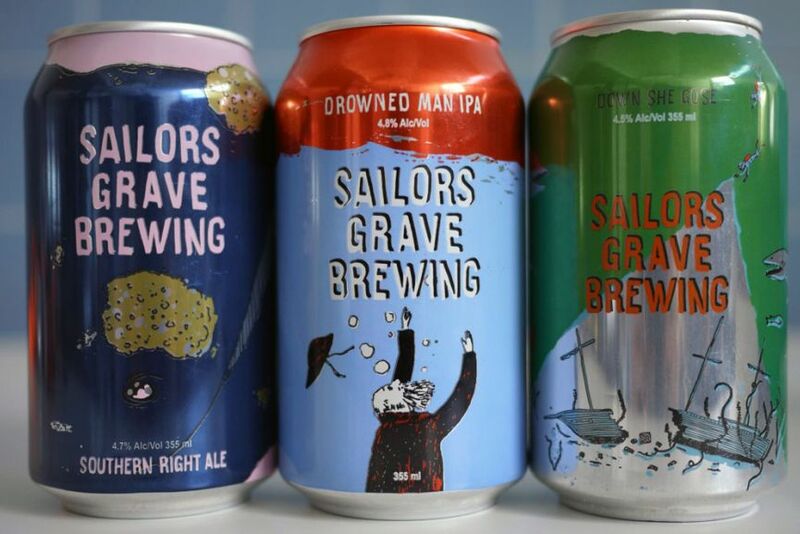 Out in the far east of Victoria, Sailors Grave’s Chris Moore took inspiration for his first beer from the rugged coastal area south of Orbost that he, wife Gab and their young family call home. Their Down She Gose – made with seaweed from a nearby farm and released last year – manages to capture both the environment of coastal Gippsland and present beer lovers with something of a declaration of what Sailors Grave would come to be. 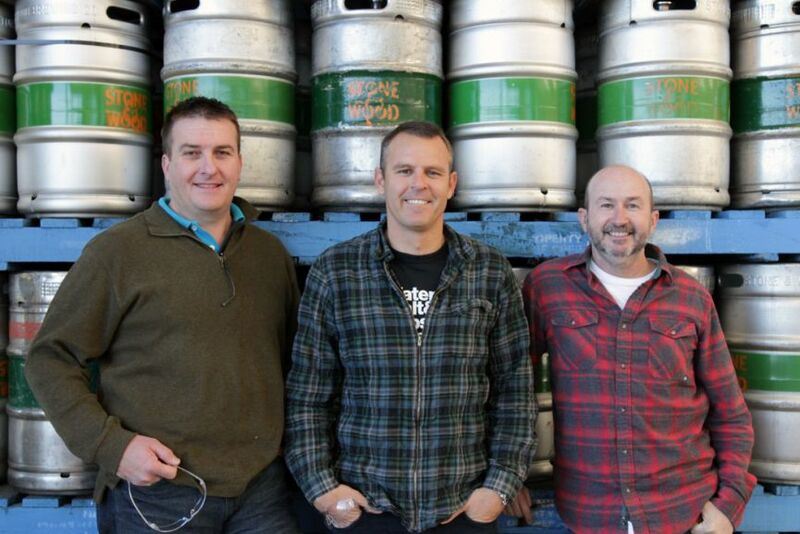 “In making our first beers, there were a couple of forces pulling at us,” says Chris. “One was where we lived – we live in a remote, coastal area. That, and the ingredients around the area really drive what we’re going to do. This approach was continued with one of their first limited releases, when an oversupply of mandarins for a local farmer led to their Altocumulus Dry-Hopped Mandarin Berliner Weisse. Coupled with the brewery’s attention grabbing can designs, their first few beers have been anything but your average core range. “It’s hard for us, because we’re so remote from the scene, to know what’s conservative and what’s brave to put into the market,” says Chris. 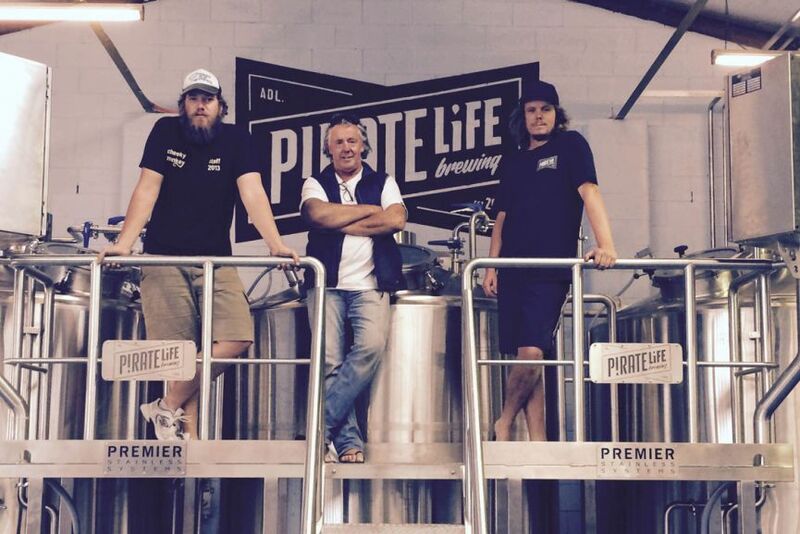 As first beers go, it’d be tough to find a better Aussie success story than the Pirate Life IIPA. Released in 2015 alongside their Pale Ale and Throwback IPA, it quickly burrowed its way into the hearts of beer fans across the country. A year later, it rocketed into third place in the GABS Hottest 100 Aussie Beers for 2015, followed closely behind by the Pale Ale in the fourth slot and Throwback at 11. Impressively, the 8.8 percent ABV beast that comes in foreboding 500ml black cans moved up a spot to second in the poll this year. It's a remarkable achievement for a new brewery, but for brewer Jared "Red" Proudfoot and his team, they knew they’d make a footprint on Australian beer pretty quickly. With both Red and fellow founder Jack Cameron spending time brewing at BrewDog in Scotland, working with hops had become their calling card. “We didn’t really anticipate [the degree of success], but I was always pretty comfortable and confident that an IIPA was a style we’d be able to do well very early on, and hopefully have a strong impact with,” says Red. While some of the Pirate Life team were nervous about going all out with an IIPA among their first releases, Red knew it was a good move. “My insistence in launching with it was pretty key early on. Other people in the business were somewhat questioning if it was a good idea to launch with such a big beer. 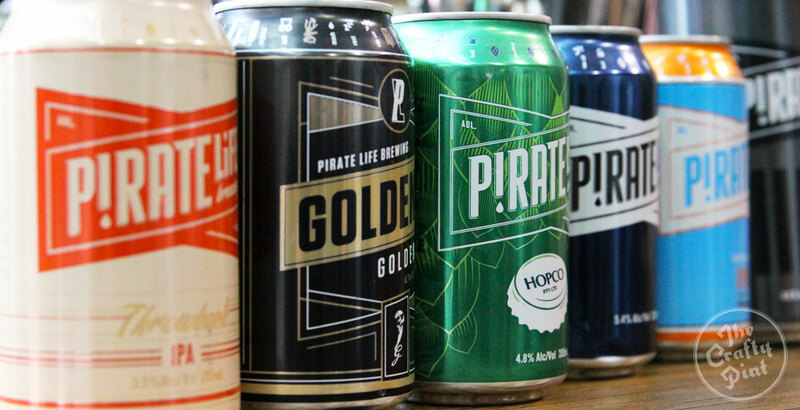 Seated alongside their Pale, Throwback, and the IPA that first appeared in cans last year, Red believes they’ve managed to achieve a good balance of beers that effectively demonstrates the Pirate Life approach to IPAs. But, at this point, he’s looking to broaden their horizons. “You could say we’re pretty much done on that IPA focused lineup. There might be some more long term seasonals that come in and out, but we’re really going to look towards stouts, lagers, and tweak some of our sours.